This book confronts one of the most enduring and controversial issues in education - the nexus between poverty and underachievement. The topic has become a key contemporary battleground in the struggle to raise standards. Living on the Edge maps and compares a number of competing explanations, critiques inadequate and deficit accounts, and offers a more convincing and useful theory. The authors challenge the view that problems can be fixed by discrete initiatives, which in many instances are deeply rooted in deficit views of youth, families and communities. The book systematically interrogates a range of explanations based outside as well as inside schools. It draws upon positive examples of schools which are succeeding in engaging marginalized young people, providing worthwhile forms of learning, and improving young lives. It is a `must read' for anyone concerned about or implicated in the struggle for more socially just forms of education. 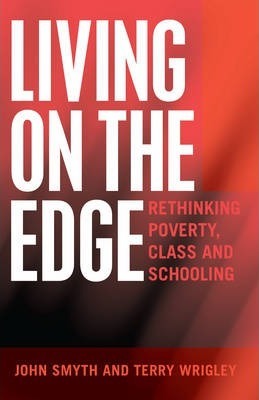 Contents: Foreword: Putting Those `Living on the Edge' at the Centre of Educational Policy and Practice Bob Lingard - Understanding Class and Poverty - Blaming Individuals, Families, and Communities - The Role of the School. John Smyth is Research Professor of Education, University of Ballarat, Australia and Emeritus Professor, Flinders University. His most recent books include Hanging in with Kids in Tough Times (Peter Lang, 2010), Critical Pedagogy for Social Justice, and From Silent Witnesses to Active Agents: Student Voice in Re-engaging with Learning (Peter Lang, 2012). Terry Wrigley is Visiting Professor of School Improvement, Leeds Metropolitan University, England and Senior Honorary Research Fellow, University of Ballarat. He is editor of the international journal Improving Schools. His books include The Power to Learn (2000), Schools of Hope (2003), Another School is Possible (2006), Changing Schools: Alternative Ways to Make a World of Difference (eds. 2012), and Social Justice Re-examined (eds. 2012).